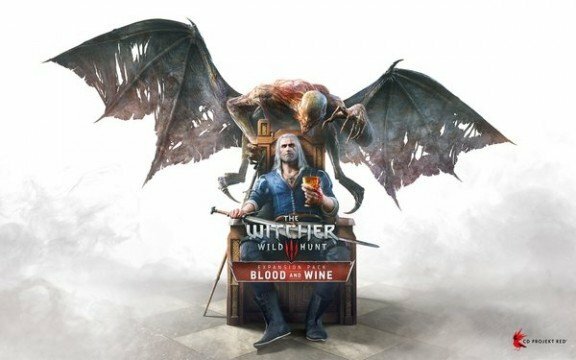 CD Projekt RED plans to release The Witcher 3: Wild Hunt‘s Blood And Wine expansion before E3 in June, the studio has said in an interview with German website GameStar (translated by Reddit user Pawel95). Members of the dev team discussed more details about the upcoming additional content and also provided some answers to questions concerning the series as a whole, chiefly if there are any plans for a remaster of the first two games in the works. Spoiler: there isn’t. So that’s off the table, but what about a retail re-release that compiles all three games into one box? There doesn’t seem to be any plans for that either, mainly because the first two can already be found elsewhere for incredibly cheap, making such a thing redundant. However, CD Projekt says they haven’t ruled out the possibility of there being a GOTY edition of The Witcher 3 (base game with all DLC included) released in the future. Pawel has collected all the new Blood And Wine information into a list of small points which you can see below. With this year’s E3 already confirmed to kick off on June 14, there’s potentially still a whole month to go until The Witcher 3: Wild Hunt‘s Blood And Wine expansion launches, which should leave plenty of time for more teasers and gameplay trailers.